Through new technology, advanced design, careful craftsmanship, and world‑class performance, our eXactShot®, ViKORE® shafts and VPRO® shafts won’t just help you reach your full potential, but perhaps to exceed it. It all starts here. 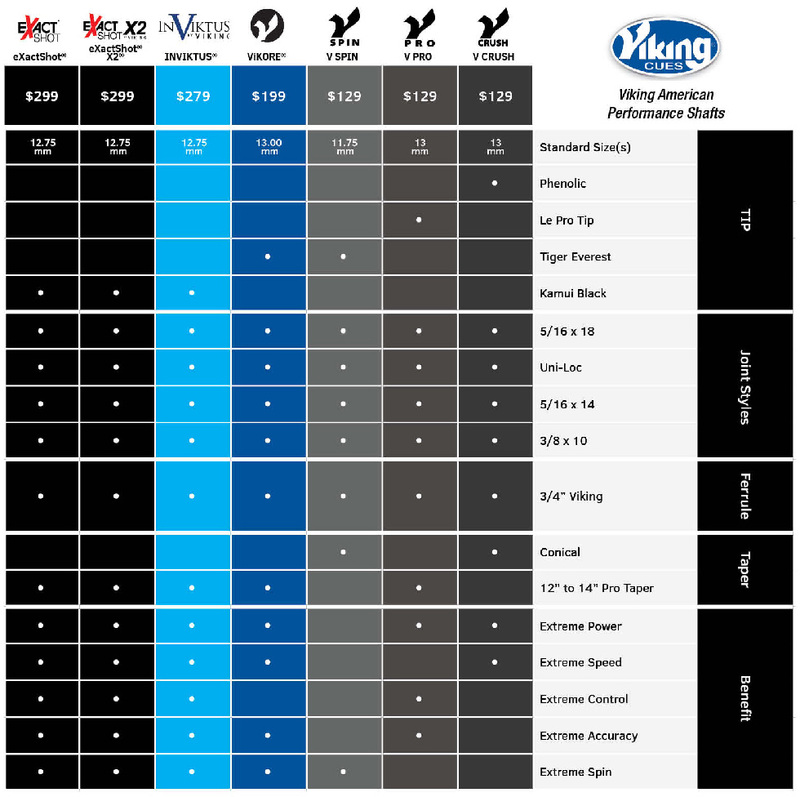 The Viking V PRO Shaft starts with engineering excellence. If you are looking for more power, the CRUSH is your shaft; more spin, the SPIN is your shaft; and more accuracy, the VPRO is your shaft. Or do what many top players are doing, own all 3 for a shaft for any shot you may need to make! The ViKORE® American Performance Shaft features advanced low deflection and enhanced power from our reactive ViKORE® center. What does this mean? Enhanced feel and low vibration. 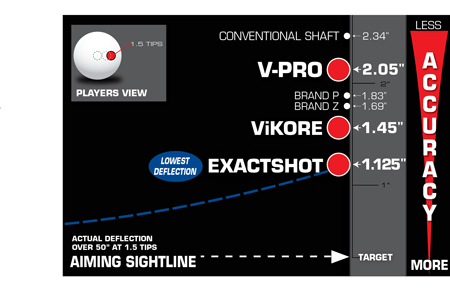 Every ViKORE® shaft is designed to help players take their game to the next level. And players around the country agree that these shafts will help you hit the ball straighter so that you pocket more shots. The eXactShot® Pure Performance Shaft has everything you need combined with everything you want. Get pure responsive power with ultra‑low deflection from our patented X-Core construction and radically enhanced accuracy using the sightlines. What does this mean? More accuracy and more shots made. In fact, we feel the shaft is REVOLUTIONARY.